In the market for a crossover SUV, but prefer not to finance? 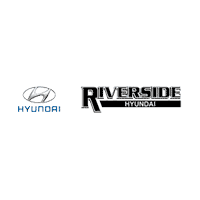 Take advantage of the Hyundai Santa Fe lease offers available near Cartersville at Riverside Hyundai to reap the benefits of a brand new crossover without the commitment of ownership. When you lease the Santa Fe, you’ll have access to a redesigned model that boasts abundant features, all for less money upfront and over the course of your lease. Browse your options of new Santa Fe models before contacting us at Riverside Hyundai to get the lease process started. Once you’re ready to get behind the wheel of the new Santa Fe, be sure to browse our extensive inventory and find the lease special that’s right for you. Contact us today with any questions about the Hyundai Santa Fe vs. Tucson or how to kick-start the leasing process!